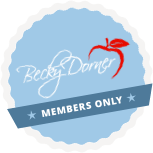 The Obesity Paradox - Becky Dorner & Associates, Inc.
OVERVIEW: Obesity is considered a major risk factor type 2 diabetes, lipid disorders, hypertension, coronary heart disease and certain cancers. During the past decade, evidence has emerged that elderly patients with several chronic diseases and elevated BMI may demonstrate lower all-cause and cardiovascular mortality compared with patients of normal weight. This session will review those findings and provide guidance to health care professionals that work with obese older adults.